Cadillac bills its brand-new Super Cruise feature as the “world’s first true hands-free driving system for the freeway” – a claim with which Tesla Motors and its semi-autonomous Autpilot system might take umbrage, having beat Cadillac’s system to market by nearly three years. Still, Super Cruise – which is already en route to Cadillac dealers across the country in some 2018 CT6 Premium Luxury models and all Platinum examples – puts GM’s luxury brand on a short list of marques that have taken the plunge by offering futuristic, intelligent automated driving systems today. And with all the negative press attention paid to Joshua Brown’s high-profile fatal crash in a Tesla Model S operating in Autopilot mode, delaying the launch of Super Cruise so that engineers could exhaustively vet each part of the system and all but guarantee the utmost safety was a prudent choice. GM’s emphatic focus on safety is apparent from even the briefest of glances at the equipment list. Cadillac’s Super Cruise system incorporates a driver attention system consisting of a pair of infrared lights in the upper portion of the steering wheel, and an eye-tracking camera hidden at the base of the gauge cluster. The system has the task of verifying that at all times during Super Cruise’s operation, the driver is watching the road for changing conditions, ready to resume control if required. Remarkably, it even works through sunglasses. Poker game just let out? Go ahead and keep wearing those shades; Super Cruise will know whether you’re looking at the road or not. The focus on safety is further evident in the relatively narrow scope of the Cadillac Super Cruise system; this is not some overly-feature-rich, quasi-autonomous driving mode, ostensibly capable of taking you from Point A to Point B with little or no input. 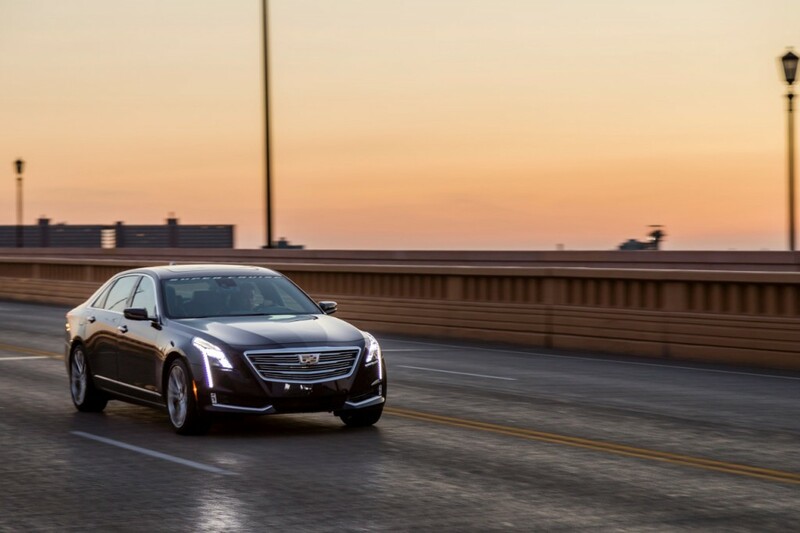 Rather, it’s effectively more of an extension of Cadillac’s existing adaptive cruise control that adds steering to the list of automated tasks – at least, to the extent that it can keep the car centered in its lane around bends in the road. Super Cruise is only available to use on limited-access freeways – those with on/off ramps and sufficient separation from oncoming traffic – in the United States and Canada. It can’t change lanes at the flick of the turn indicator stalk, nor will it automatically head toward the desired exit if you’ve got a destination entered on the CUE satellite navigation system. In an age where many consumers are still plenty apprehensive about ever riding in a fully-autonomous vehicle, the relatively narrow range of operation and the safeguards against misuse are comforting. The real question is: Given that narrow range of operation, is Super Cruise worth the $5,000 it costs as an option on the $66,290 Cadillac CT6 Premium Luxury sedan? That’s what we set out to discover. 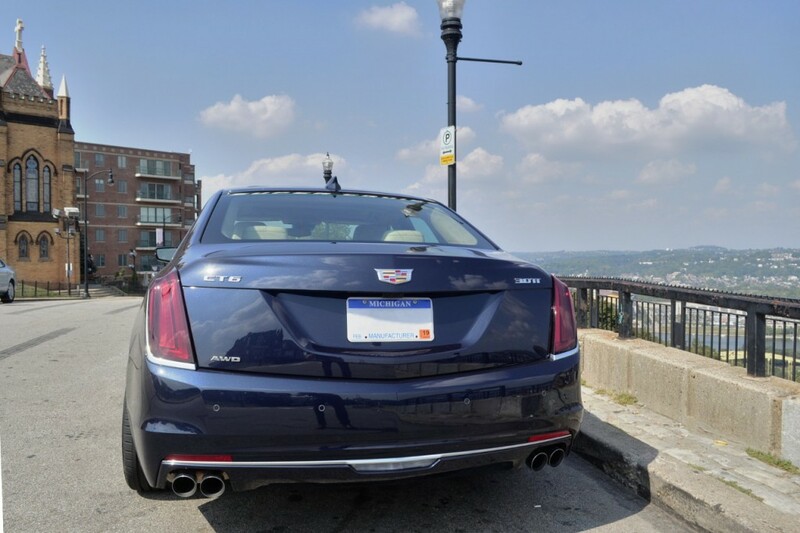 We tried out Cadillac’s all-new Super Cruise system in a 2018 CT6 Platinum, on a drive from Washington, D.C. to Cleveland, Ohio – a distance of about 370 miles, with an estimated commute time of nearly six-and-a-half hours. The route included portions of the Appalachian Mountain range, which meant plenty of beautiful views along the way – and a world of pain if Super Cruise were to decide to send us off a cliff. To initiate the system, one first has to merge onto the freeway and activate adaptive cruise control. Super Cruise will only work at speeds of up to 85 miles per hour, but that’s quite all right for folks who’ve no interest in a count of 15 Over. Once adaptive cruise is activated, the driver must then keep the car centered in its lane, wait for a gray steering wheel icon on the dash that signals the system’s availability, and press the correct button on the steering wheel. Easy. When active, the dash icon turns green, as does a light bar along the top of the steering wheel. All you have to do is keep your eyes on the road – or at the least, look out the windshield every few seconds – to keep the system going. The car automatically adheres to the driver’s selected cruise speed or maintains the desired distance with the car ahead, whichever limit comes first, and steers itself around bends in the road. At first application, it’s a truly eerie experience, watching the wheel wind and unwind with your hands folded in your lap or double-waving at other bewildered motorists; as time goes on, it becomes more routine, and you start to wonder what’s with the fixation on this whole “steering” thing, anyway. And then you begin feeling free to look around a bit more, taking in some of those stunning Appalachian views. It’s quite a nice feature for that. But what Cadillac Super Cruise delivers to the driver, more than anything else, is a relaxing, low-fatigue driving experience on long trips. You can’t nap, and you shouldn’t attempt to catch up on email in between well-timed glances out the windshield, but not having to worry about using the throttle or brakes, shifting, or steering for many miles at a time does wonders to keep one feeling refreshed. Having a massage function on the drivers seat doesn’t hurt, either. Cadillac is the right GM brand to debut Super Cruise not only because the premium price tag can more easily swallow the expense of the system, but because Super Cruise is in itself the ultimate luxury; what finer premium creature comfort is there than a system that spares the driver a significant portion of the driving task, delivering a more alert, refreshed human at the end of the trip? Granted, the system isn’t perfect. There were plenty of points along our journey where, even on a limited-access freeway with adaptive cruise control set, the car centered in its lane, the Super Cruise icon simply never appeared. This tended to lead to a period of much head-scratching and resetting of the adaptive cruise control. We think this is do to with the integrated camera system. To read the lines in the road and assess the boundaries of the lane, Cadillac Super Cruise uses a front-facing camera, which works quite well in most circumstances – even on busted up pavement. However, we suspect that our pre-production CT6, for whatever reason, may have had difficulty reading the lines while it was being blasted by the sun, or while the trees were casting high-contrast patterns on the pavement with their shadows. It’s also not infrequent that one will get a sudden, unexpected request from the Cadillac CT6 to take control over from Super Cruise. Notably, this happened to us when a car in the right lane cut quickly in front of us in the middle, without establishing a sufficient gap. The car braked automatically to avoid a collision, while issuing a frantic alert that we needed to resume control. It seemed to us like Super Cruise had the incident pretty well covered, but that sort of redundancy is paramount to safety. It’s also worth noting that the transition of control from the car to the driver is, in our experience, remarkably smooth and uneventful. We noticed it both when the system asked us to take control, and each and every time we were compelled to manually initiate a lane change to get around a slow-moving commuter. In the latter event, all the driver needs to do is activate the turn signal, and take the wheel; the car recognizes that the driver wants to initiate a maneuver, and puts Super Cruise on standby, the solid green light bar on the steering wheel turning blue while the maneuver is in progress. When you’re done, the system is quick to recognize it, and automatically resumes normal operation. Cadillac Super Cruise is smooth, easy, and intuitive to use. Even better, no matter how much pleasure you take in driving yourself, it’s a system that you’ll use each and every time you get the chance, because it doesn’t threaten to take over the fun, pleasurable parts of the driving experience; it tackles only the most hypnotizing, dull, mentally-fatiguing parts of the journey, and even then, only when asked. 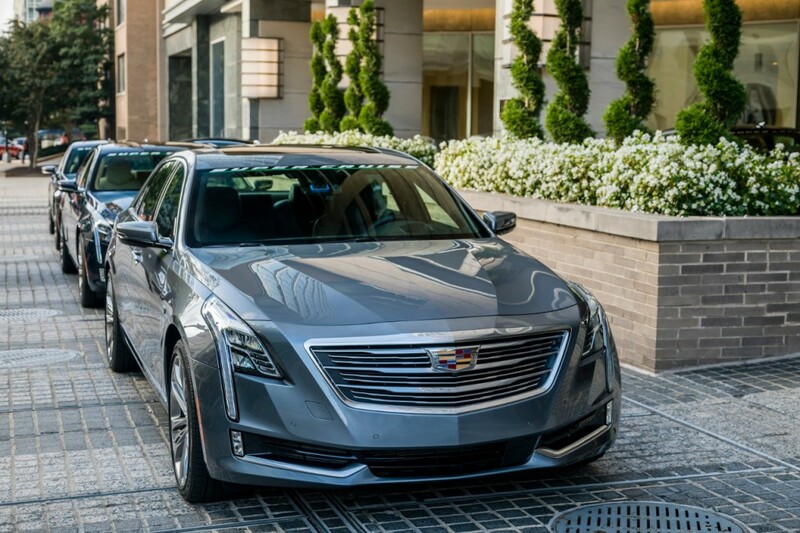 The 2018 Cadillac CT6 with Super Cruise is still a far cry from the fully-autonomous, no-human-input-needed vehicles of the future – we’re reluctant to even call it “semi-autonomous,” preferring to look at Super Cruise as a very advanced active driver assist. But it is a stepping stone, and one that adds value to the driving experience rather than extinguishing it. Moreover, if your initial response to the idea of a machine taking complete control during your commute is one of trepidation, Super Cruise is the perfect antidote. On the 2018 Cadillac CT6 Premium Luxury, Super Cruise is $5,000 well spent. The system comes fitted as standard on the range-topping CT6 Platinum. I’m curious on what may happen if you get pulled over texting while “driving” one of these on the highway in a state where it is illegal to text and drive. The clever tech which makes Super Cruise work is provided by a company called Seeing Machines. The whole system depends on eye and head tracking software called FOVIO for accurate driver monitoring. The true full autonomous cars is still far out. The transition and cost is still tremendous. The big lie also is how you will be able to read, sleep and text while traveling. First off your attention will be required for for a good amount of time. Second most of us travel 19 min one way. Not much time to do much. The cost will add at least $10k till cost drop. Being around other cars will be an issue if they have a real driver. They can and will learn how to mess with autonomous cars and don’t thing many will do that. It is something that will take several generations of cars to transform. Technology is one thing but transition is another. Spoken like an intelligent, well-informed person. A blogger/ “writer” on here could learn a lot from you, especially if they wasted less time on pushing a political agenda and more time on research, education, experience, and logic. I always thought if Scott3 used an alias to congratulate himself here it’d be ScottEcotec3. I hope I am right, otherwise “J” probably drives a pink Cadillac from selling Mary Kay. Have you ever contributed anything af value or worthy of debate? Please we would love to see your valid point on the topic here of autonomous driving. If it were not for mouth breathing knuckle dragging trolls like you there would be no need for it in a more responsible world. But then again folks like you make average guys like me look brilliant, keep it up. Looks like to me, GM and Cadillac claim more, with limited functionality. As far as I’m concerned, Tesla’s autopilot does more. Considering it’ll change lanes with the flick of the indicator, take the desired exits based on mapping directions, summon it to come to you when you’re leaving your destination, and also park itself. Super cruise? More like Super Limited Cruise. IMO, this technology needs to evolve over time and not offer everything at once like Tesla is trying to do. That what got customers in trouble in the first place because Tesla made the general public believe that their Auto Pilot technology is bullet proof and Tesla was proved wrong that it had bugs in it. However, people should have sense to know better not to take anything new for granted. I seen on one video when a driver took an off ramp, the car veered off the center of the ramp and he had to take control of the car from getting slammed into the barrier wall or rail because the marking on the pavement was not clear enough for the system to handle. I prefer Super Cruise over Auto Pilot. Presumably, the next gen. Super Cruise could add lane change w/o out taking control of the steering wheel same as for driving on pikes and boulevards. On ramps too maybe, but few updates here and there but not all at once. Limited how? These car is not going to drive itself, a person still has to be these in these drive seat. Tesla autopilot didn’t tell these true in that a person still has to be in these driver’s seat. Were still a long ways before a car can drive itself with any driver’s being there . They will have take this in steps and let the market grow into it. This is a much larger hill to climb than the one for digital TV that blew up the broadcast system. You are not going to have a cheap converter to makes all work. I would First expect bus and truck models on set loops to be the first no driver vehicles. Like at Disney World and the bus system they have. Even for liability they may still retain a drive Incase at the start. Note GM has invested heavily in facial recognition to make sure the driver remain engaged. That way you do not get the Tesla under the truck result. There is a lot to cover yet also legally. There still will be crashes but who will be at fault? The owner, the company, the programmer? doesn’t matter who is responsible. the one with deepest pockets will be the one getting sued. Actually anymore they sue everyone and Just hope to snag a settlement no matter the fault. So what happens when the windshield gets dirty or snowy? How about when the road gets rough or the lane markings fade and disappear over time? The number one thing that happens with modern vehicles after they are out of warranty and obtain some miles is that the electronics start to fail and become glitch ridden. ABS/Stablitrak lights come on, Air bag lights blaze, check engine lights, failed AWD electronic systems. Now we can add all the latest items added to this list. And the scary part. Most garages, service stations and dealers can’t properly fix this crap. Wipers and wash. Also, who says there’s only 1 forward mounted camera? Download past travel data from other cars that traveled the same road when the road markings were more visible. Define ‘modern’. Because if you’re going to say any car newer than 20 years, then you’re going to paint yourself into a corner. I can understand this technology is the precursor for more advanced systems in the future. What I cannot understand is how “relaxed” a driver will be if they have to constantly monitor things. Wouldn’t you always be on the alert to take over control while being on edge waiting for just such an event to occur? How can a person go from being only partially engaged in driving the car to fully engaged within a split second ? I can see where in the future you will have highways with sensors built in that will actually take over control of the car completely-then I can see how this might be a “relaxing” experience. Just my two cents worth. Too bad the CT6 doesn’t have the space and comfort of the XTS, The XTS would be much better on a road trip.